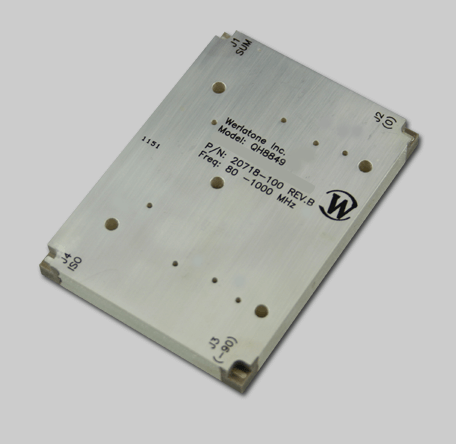 Werlatone Inc. supplies Model QH8849, a fully bonded stripline design covering the full 80-1000 MHz at a conservatively rated 250 W CW. This unit can withstand severe input unbalances, at rated power. Excellent repeatability, and performance at high operating temperatures, makes this unit ideal for both commercial and military applications.